New Customer Acquisition is often the top marketing priority for the average company. And the marketing costs associated with reaching that goal are often among the largest marketing expenses that company will face. Today I want to talk about two things you can do to improve your company’s new customer acquisition rate, and greatly decrease the associated costs. You can’t sell a product unless the customer is ready to buy it. One of the biggest marketing mistakes most companies make is they try to sell their product to the customer before they are ready to buy it. When trying to acquire new customers, most companies make the mistake of making the first marketing communications they deliver be product-focused. On the surface, this makes complete sense, you can’t sell the product unless you market it, right? The problem is, a new customer by definition is a customer that hasn’t bought from you before. Which means at minimum they aren’t familiar with your company, but often they also aren’t familiar with the product you are selling. So if you try to sell new customers on a product that they don’t understand or know why they would want, that marketing message is going to be completely ignored. You are literally trying to sell a product to new customers that they aren’t ready to buy. So if they aren’t ready to buy your product, what do you sell them? You sell them the benefits associated with owning your product. New customers won’t know they need or want your product, but they will be interested in the benefits that your product provides. Red Bull doesn’t sell an energy drink, it sells what happens after you drink it. Nike doesn’t sell shoes, it sells the activities you’ll be engaged in while wearing its shoes. Pedigree doesn’t sell dog food, it sells happy and healthy dogs. New customers often won’t know they need your product, but they will know they need the benefits associated with owning it. So that’s what you sell them. Consider this example: Let’s say your company sells spark plugs. 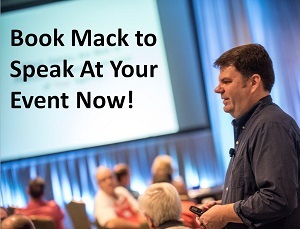 If you want to acquire new customers that don’t know why they should buy your spark plugs (or even what a spark plug is), then how do you speak to them? One option is to create product-focused marketing. You talk to new customers about what your spark plugs do. You talk about how your spark plugs create a hotter spark that leads to less carbon build-up. You talk about how your spark plugs are tipped with platinum instead of copper. You tell the new customer that you are trying to acquire how your spark plug is made from the best materials. And the reality is, you might as well be throwing your money away. Because the new customer has no idea why less carbon build-up is important, or why a hotter spark is important. So your marketing message is completely irrelevant to them. The way to win the new customer’s business is to instead sell them on the benefits of owning your spark plugs. You tell them that buying your spark plugs will make their car more reliable. You tell them how it will increase gas mileage by creating a more efficient burn of the fuel. You tell them how it will result in the car running smoother and with more power. Those are the benefits that new customers are ready to buy. So you sell them what they are ready to buy. Then, after you’ve gotten their attention by communicating the benefits to them, at that point you can talk to them about the product features because at that point, they will be interested in learning more about the product itself. 1 – Sell the BENEFITS of the product first to New Customers. That gets their attention and makes them interested in learning more. 2 – When they are ready to learn more, THEN you sell them on the product itself. Still not getting it? Check out this post. 1 – Your current customers understand new customers better than you do. 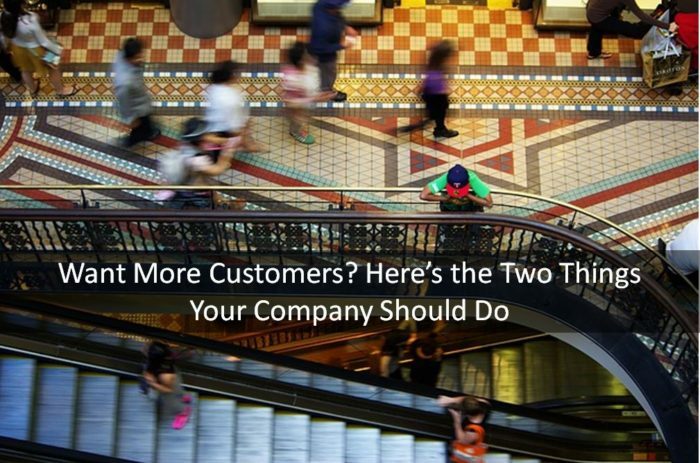 While you may not have an existing relationship with new customers, your current customers do. Because those new customers are often their friends and family. As such, your current customers can promote your products in a way that is relevant to their friends and family. They understand what’s important to their friends and family, and that’s why when they promote your products, they speak in terms of the benefits associated with owning the products. They use their understanding of what’s important to their friends and family and customize their promotion based on what their friends and family are looking for. And that makes their promotional efforts more effective than yours. 2 – Your current customers are passionate about your company and its products. By human nature, we want to share the things that help us and make us happy. This is especially true when we find a product we love, that makes our lives better. We want to tell others about that product because we want to see others have the same enjoyment from owning the product that we do. When you are in a store considering buying a product and a stranger comes up to you, unprompted, and says “I have that, and I love it!”, it makes an impression on you. Because you realize that they didn’t have to say anything, and did so because they truly do love the product. You’ll likely ask their opinion, which the stranger will happily provide. If you were even slightly considering purchasing the product beforehand, a ringing endorsement from a stranger would probably be enough to convince you to buy it. 3 – Your current customers lower your customer-service costs. As current customers interact with new customers, they are able to answer questions and address complaints head on. They can also speak from the perspective of an owner, and speak to their experiences associated with owning the product being discussed. This can help overcome questions and worries the new customer may have, and can improve the chances that the new customer will become a current one. And this is an obvious cost-savings to your company, as every question that your current customers answer for you, that potentially eliminates an email sent or phone call made to your customer service department. 4 – New customers trust their friends and family more than they do your company. While your current customers know and understand the new customers you want to reach, those new customers also know and trust your current customers. So when a current customer recommends your product to their friends and family, or even to strangers, it carries a lot of weight. Perhaps more importantly, if a new customer is considering your product and a friend tells them NOT to buy it and instead buy a competitor’s product, that new customer will probably listen to their friend. 1 – When targeting new customers that have no attachment to your brand or knowledge of your products, you sell the benefits associated with the product. These customers aren’t in the market for your product because they aren’t familiar with it. So you sell them on what they gain by owning it. They will understand the benefits and how they are important. 2 – Let your current customers market for you. Your current customers are more trusted by their friends and family. Additionally, your current customers have a better understanding of how to connect with their friends and family than your company does. You should work with your existing customers to give them the tools they need to tell others about your company and its products. Research has found that customers that purchased 5 times from your company also referred 5 new customers, and current customers that had purchased 10 times from your company had referred 7 new customers. Your current customers are literally bringing you new customer at almost no cost to you. This is the type of behavior that you want to encourage.